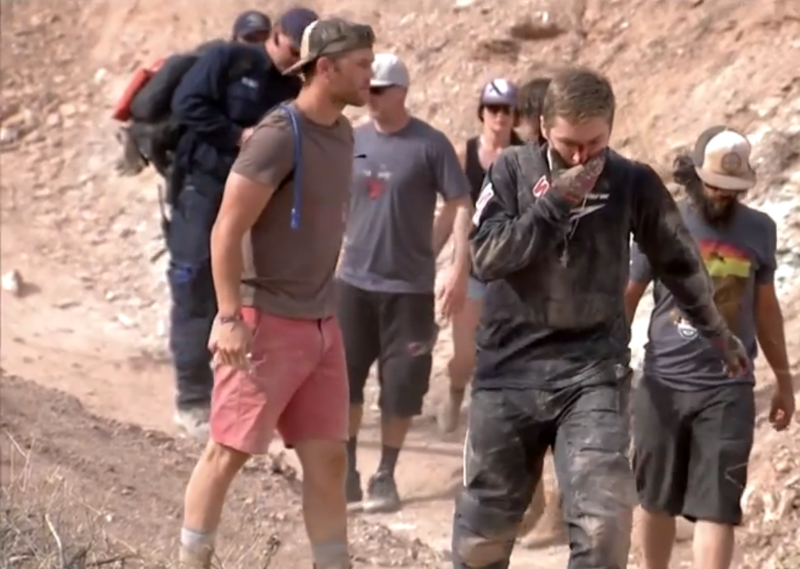 Nicholi Rogatkin proved that he’s one of the toughest, or at least luckiest, competitors at Rampage yesterday. Braking into one of three consecutive drops in his line, his front wheel washed out and sent him tumbling off a cliff. Incredibly, Rogatkin got up and walked around before hopping right back on his bike and completing his run, which included jumping the massive canyon gap. He even backflipped the last jump before rolling into the finish zone.